The airframe manufacturers have established in-service limits for Type IV hydraulic fluids. These limits are listed on the following page. Continued use of a fluid that does not meet one or more of the limits can adversely affect the life of system components. 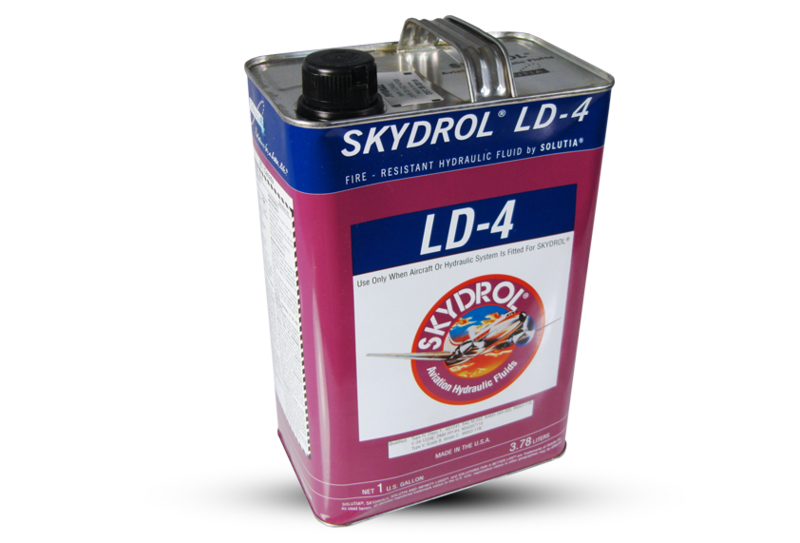 During aircraft operations, hydraulic fluid is subjected to an environment which, in time, alters certain properties of the fluid. No two types of aircraft hydraulic systems operate under the same conditions. The heat that is produced during system operations, the moisture from the environment to which the fluid is subjected, and the cleanliness of the system (i.e., freedom from solids and liquid contaminants), will affect the operating life limit of the hydraulic fluid. 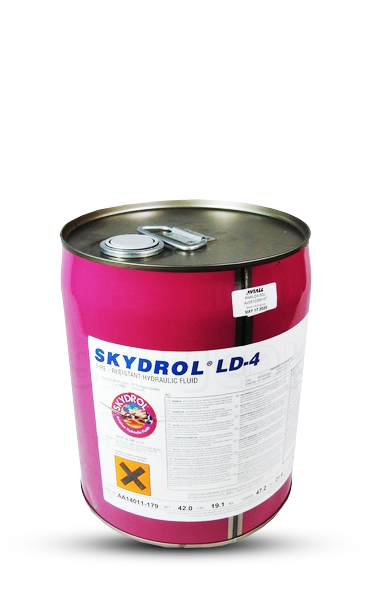 Therefore, the operating life of Skydrol fluids is determined on the basis of both physical and chemical properties rather than by a fixed number of operating hours. Solutia’s Technical Service fluid sampling program offers comprehensive analysis and evaluation of the fluid, with recommendations for corrective action when required. Solutia suggests that hydraulic fluid be analyzed periodically to assure that it meets airframe manufacturer in-service limits. ROUTINE SAMPLING – Each system should be sampled about once a year and/or whenever the airframe manufacturer suggests. UNSCHEDULED MAINTENANCE – When malfunctions may have a fluid relationship, samples should be taken. SUSPICION OF CONTAMINATION – Usually fluids should be drained and replaced, with samples taken before and after the maintenance procedure. Contamination in the hydraulic system can affect the performance of both the hydraulic fluid and the system components. Common liquid contaminants are chlorinated cleaning solvents, water, petroleum-based or synthetic oils, and engine lubricants. Liquid contaminants can alter the fluid’s fire resistance properties, affect seal performance, cause gel formation, and lead to acid development. Common solid contaminants include component wear particles as well as contamination external to the hydraulic system. Solids can cause physical damage to components as well as line and filter pluggage. Certain solids accelerate fluid degradation. Proper in-line filtration is required to maintain a low solids contamination level. Filters should be checked and replaced as required. If a high contamination level persists, procedures outlined by the aircraft manufacturer and component manufacturer should be followed.